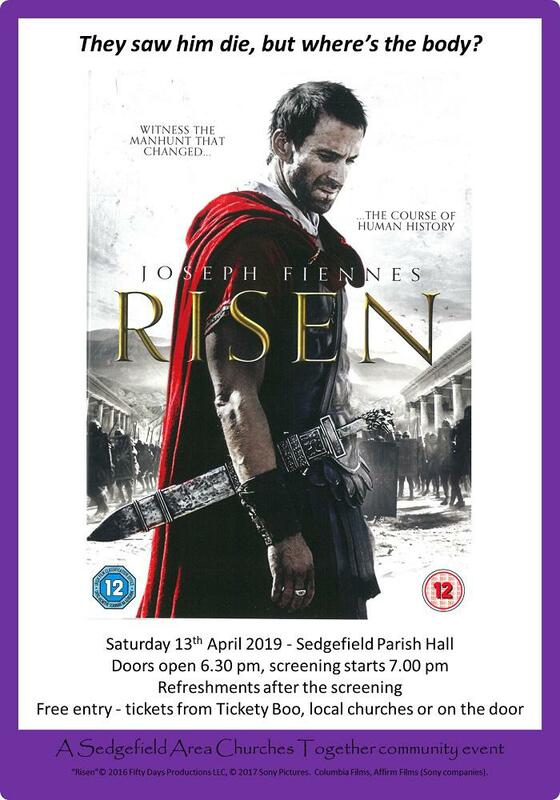 The Easter story told through the experiences of a Roman tribune charged with supervising the crucifixion of Jesus and the subsequent hunt for his body missing from the tomb will be told in a free film show in Sedgefield next Saturday (April 13). Joseph Fiennes stars as the tribune in ‘Risen’ which will be screened at 7pm in Sedgefield Parish Hall (doors open at 6.30pm). Tickets are free and are available from Tickety Boo, local churches or on the door. The film (Cert 12 – no child under allowed) is a Sedgefield Area Churches Together Community event and has been described as ‘the story of a manhunt that changed the course of history’. Refreshments will be served after the screening.